Orci is a veteran of genre film and television (Transformers and Fringe). Previous franchise director JJ Abrams is currently directing Star Wars: Episode VII for Disney, but is rumoured to be onboard as a producer. 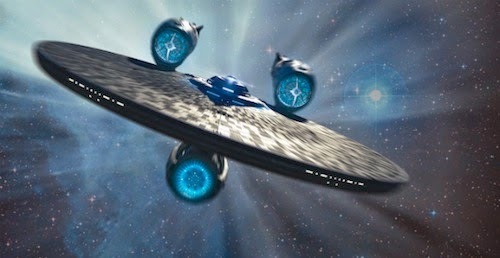 Star Trek 3 is scheduled for release in 2016. Does deep space sound preferable to San Francisco? Let me know in the comments below. Peter Capaldi and Jenna Coleman channel the Third Doctor and companion Sarah Jane Smith in this promo photo for season 8! The BBC has officially announced the return of Doctor Who to BBC One and BBC America on Saturday August 23rd with this thrilling teaser trailer. Showrunner Steven Moffat has written in Doctor Who Magazine that he plans to stay on for another year. Looking forward to the new Doctor's adventures? Let me know in the comments below. 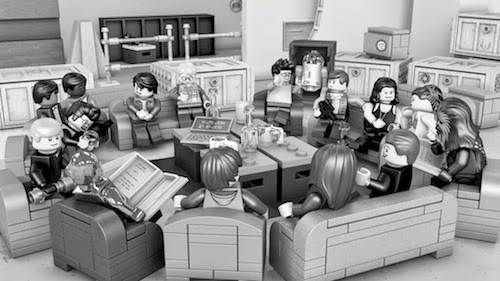 LEGO Star Wars continues to be a bestseller and now the celebrated photo revealing the cast and crew of Episode VII is immortalised in bricks. The company posted the following message on its Twitter account: "You've met the actors, now meet the Minifigure cast of @starwars Episode VII!" Should there be a LEGO adaptation of Episode VII? Let me know in the comments below. Last summer's Iron Man 3 was arguably the franchise's best installment to date! Director Shane Black flipped the tin man on his head in the wake of Avengers Assemble, and gave cinemagoers a memorable blockbuster ride with a twist. 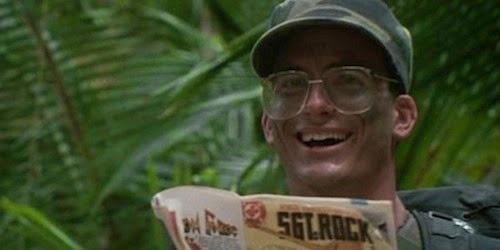 With Shane Black back in the spotlight it's apt he's reportedly returning to the Predator franchise. Black played Hawkins and delivered the movie's most salacious dialogue, which I won't reprint here. He's slated to direct a sequel and not a reboot at Twentieth Century Fox. Given the critical and commercial success of Iron Man 3 there's no reason why the alien hunter can't benefit from Black's inventiveness. Has Predator had its day? Let me know in the comments below. SFX Magazine readers have voted David Tennant and Billie Piper's goodbye in Doctor Who episode Journey's End the greatest scene in sci-fi history. It's difficult to disagree. “It all came together so perfectly in this scene that people still talk to me about it with misty eyes all these years later,” said Tennant on the triumph. SFX added that the winning moment struck a chord with viewers. “We’ve all had to bid farewell to someone we care about, even if it wasn’t forced upon us by the threat of universal destruction, and this eye-moistening moment perfectly encapsulates the agony of break-up,” the magazine said. 1). Doctor Who - The Doctor and Rose say farewell. 2). Avengers Assemble - The Hulk beats up Loki. 3). Alien - the alien bursts from John Hurt's chest. 4). Firefly - a bad guy gets kicked into an engine intake. 5). The Empire Strikes Back - Luke Skywalker learns that Darth Vader is his father. I'm amazed Spock's death in Star Trek II: The Wrath of Khan didn't make the top five! Director James Gunn confirmed the Firefly star has a brief cameo in the upcoming movie, as a favour to Gunn, via Twitter. Guardians of the Galaxy is released on July 31 in the UK and August 1 in the US. 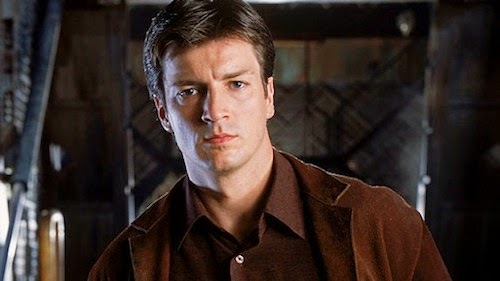 Are you excited for Nathan Fillion's cameo? Let me know in the comments below. Lucasfilm's left field director choices for Star Wars continues with Looper's Rian Johnson if Deadline is to be believed. The site claims Johnson will be taking over directorial duties from JJ Abrams on Episodes VIII and IX. Rumours suggest Episode VII will be self-contained, much like the original Star Wars, whereas the two sequels will follow an ongoing narrative arc written and directed by Rian Johnson. 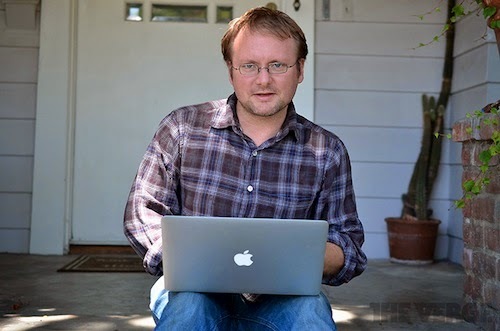 Rian Johnson's best known for the critically-acclaimed indie hit Brick, The Brothers Bloom and television hit series Breaking Bad. Is Johnson the right choice? Let me know in the comments below. 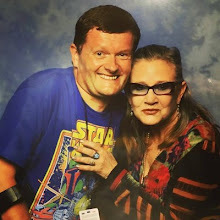 Our epic spoiler-filled discussion between Generation Star Wars' John Hood and Taking The Short View's Andrew Lewin reaches its dramatic conclusion! John: The Best of Both Worlds Pt I intimated a new direction for the Star Trek franchise with a psychologically damaged Captain at the helm, which was never properly explored until the movie First Contact. 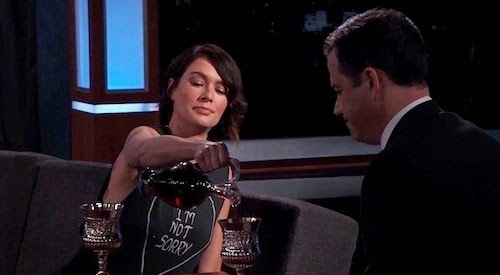 Andrew: Have you ever had a situation where you've accidentally 'spoilered' yourself by thinking about a show too hard? I remember watching and rewatching the cliffhanger to the first season of The West Wing in which there's an attempt to assassinate President Bartlet, trying to work out who might have been hit and what was going to happen next. Unfortunately it was too well directed and that analysis offered up nothing, so I had to wait for the next season to come along like a good boy after all! But I also remember getting equally obsessed with an early episode of Twin Peaks which featured a nightmarish dream sequence in which we first meet 'Killer Bob', and there are some typically Lynchian oblique clues in the visuals and dialogue as to who killed Laura Palmer. Again, I watched and rewatched this sequence intently and even wrote out all the dialogue in an attempt to figure it out; eventually something happened a couple of episodes later than seemed to chime in with what I thought I'd figured out, and I was convinced I knew whodunit. And although I had to wait the better part of a year for the big reveal, it turned out I was right! There was a great sense of "Aha!" when that happened but I wonder if I managed to spoil the moment for myself thanks to my certainty, so perhaps all I really achieved with it all was to be a rather smug smart arse! John: One's enjoyment of film or television can cease under the microscope of hyper-analysis. Twin Peaks is a prime example! As previously mentioned, exhaustive debates with college peers, combined with academic deconstruction, culminated in an anticlimax. This in no way diminishes the series' profound impact on television leading to our beloved The X-Files. The soap noir genre is here to stay as evidenced by the rise of Nordic Noir and its English-language remakes. Andrew: The ripple effect of the Nordic Noir dramas is just astounding, isn't it? I had no idea when I settled down to watch the first bought-in Swedish episodes of Wallander on BBC4 back in November 2008 that it would end up with such an explosive effect across the TV industry, not only here but in the US as well. Happily, my enjoyment of the various Scandi-dramas has never been affected by unwanted spoilerage. John: Note to self: add Forbrydelsen to Netflix's My List. Andrew: Excellent, my work here is nearly done in that case! To come back to your point about Twin Peaks though, I'd have to say that despite my own successful hyper-analysis in this case the show was never ruined for me. In fact once again I rather think it was enhanced in this case - that simply gave me some "skin in the game" as the Americans put it. And I never found the show an anti-climax at all because it was so rich in so many other ways. John: It may appear I've given the seminal series short thrift! However, it's more to do with Twin Peaks being mined by college tutors and fickle teenage sensibilities. Plus, I was still smarting from Doctor Who's cancellation. Possibly the only time I'm truly disappointed is when a show or a film is just too simplistic and you can see through it without even trying. Maybe that's why I so took against The Hobbit: The Desolation of Smaug because it seemed that every plot point in the script was so mechanically obvious to anyone paying attention. I also get annoyed by shows that give away whodunit simply on the basis of casting ("Well, they wouldn't have cast a star name in a small walk-on part, now would they?") and films which blow everything in their trailer. I can forgive everything it seems except self-harming spoilerage by show/filmmakers and their PR departments. John: Clearly they haven't paid attention to Hitchcock's Psycho. Ridley Scott did and setup Alien to suggest the would-be hero only to see characters killed off without remorse. I wonder what audiences would have made of Scott's original ending? Ripley beheaded and her voice emanating from the triumphant xenomorph. Andrew: Yikes! I'd not heard that before. That's just a bit too dark, I reckon - I'm relieved Scott went the way he eventually did with it. John: Trailers should serve as a tease and not a greatest hits package. 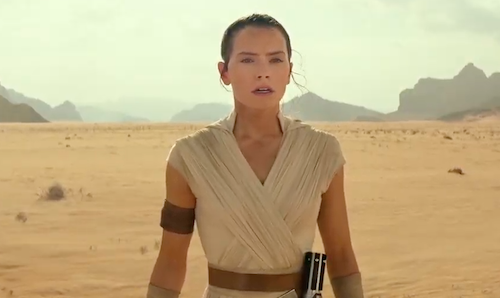 The first teaser trailer for the new Star Wars movie will be greeted with a zeal reserved for a premiere and I hope it'll be as enigmatic as JJ Abrams' Star Trek and Super 8. Andrew: I completely agree. And it's usually a clueless PR department at fault; notably, the examples you give of films that have 'done it right' come from directors with sufficient industry clout (Scott, Spielberg, Abrams) to also have control how their film is marketed. Unfortunately most directors are 'hired guns' without that same sort of authority over the whole product. John: Have you ever avoided comic book adaptations? A primary school friend lent me a copy of Marvel's Star Wars novel, but I waited until I'd seen the movie before reading it from cover to cover. Even at the age of five, I was mindful of spoilers (especially around Christmas). Andrew: I certainly remember having that Marvel adaptation of the first Star Wars film. In the days before in-home VCRs and video stores it was one of the few ways of being able to relive a film after seeing it in the cinema; I also had The Black Hole and Star Trek: The Motion Picture comic book versions too. However if memory serves, I think Marvel's version of Star Wars (like the Alan Dean Foster novelisation) was based on an earlier draft of the script and therefore had significant differences from the finished film that greatly irked me at the time, perfectionist about such things as I was. Now of course I see such discrepancies as Easter eggs. John: It was rewarding to discover Easter eggs in the pages of a novelisation! Alan Dean Foster's Alien tie-in contained a scene in which Ash appears to communicate with the titular creature. Always wondered if it was shot and ended up on the cutting room floor? Ripley's discovery of the 'Dallas cocoon', detailed in Foster's prose, was restored in the director's cut. Andrew: I was a very well behaved young lad and respected the '18' age certificate on Alien and so didn't read the book or see the film until years later. In fact I think I saw the sequel Aliens first at a university film club before finally seeing the original, since this was in the very early days of films being made available via video rentals and before films were rushed onto TV. John: Thanks to an awesome mum; I watched Aliens on rental video; suffered from nightmares for weeks. Andrew: I'm not surprised! Although for me it's the original that's still the most nightmarish of the franchise. In the case of Star Wars, I'm pretty sure I only got the Marvel adaptation and the novelisation after seeing the film in the cinema. I don't think it would have occurred to me to 'read ahead' and I'm not sure it would have made a great sense to me at that age if I had read them before seeing the film; you really needed to have the movie in your mind's eye and know the characters first, surely? All that is something I miss about the modern day: you no longer get comic book versions produced or even film novelisations written, because the DVD will be along in three months anyway so why bother? Feels like something has been lost from the magic of it all. John: Absolutely! Apps are a charmless substitute for the tactile experience of printed ephemera. I'm reminded of a giant poster of the "Space Jockey" from Alien adorning my childhood bedroom wall and being blissfully unaware of the nightmare cargo aboard the derelict spacecraft. What fun! Andrew: Nightmare cargo - definitely not Easter eggs in this case! John: Were the dramatic events in Agents of S.H.I.E.L.D. lessened by not seeing Captain America: The Winter Soldier? The latter reignited my interest in a television series that quickly waned and then delivered a phenomenal payoff due to paradigm-shifting events in the Marvel Cinematic Universe. S2 could see the series uttered in the same breath as Arrow and Game of Thrones. Andrew: I'd actually stuck with the show throughout the first season, and thought the story evolved naturally within its own context. I was aware that some events weren't being fully explained and it was clear that they had been happening elsewhere 'off-stage' as it were, but since I knew upfront that there was a close tie-in with Captain America: The Winter Soldier I wasn't surprised or too perturbed by it. 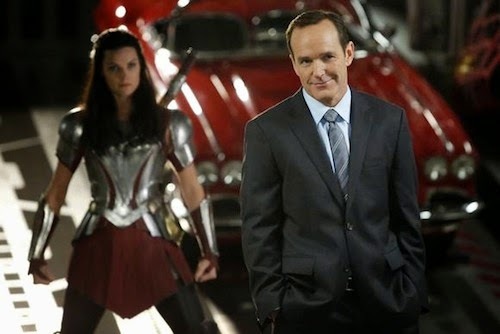 However I might not be a typical 'test case' in this instance, because a lot of the potential holes in the story were plugged by my having been a big fan of the S.H.I.E.L.D. and Captain America comics when I was a kid so I was already well up on the new enemies. Hail Hydra! But does that mean I managed to be spoilered by 40-year-old comic books?! Considering we started off from the position of thinking that it was the Internet and social media that made avoiding spoilers so difficult today, it seems that we're doing a good job of reminding ourselves what a minefield of spoilerage we had to navigate even as children of the pre-World Wide Web 70s! John: We've reached an epiphany as we near the end of this journey! Is there going to be one final twist to this tale? Andrew: Okay, I'll give it a go. One last question on the subject: what's the lifespan of a spoiler anyway? When is a spoiler no longer a spoiler, in other words? It's a consideration I come up with often when writing Take The Short View reviews of classic films, where I nonetheless do everything I can not to divulge too much of the movie's plot. Game of Thrones has come up a lot in this conversation, so I'll use it again here: presumably the events of the Purple Wedding are still too new to give away without posting spoiler warnings, yes? But what about the Red Wedding - is that still a spoiler? Or going even further back, what happens in season one with Eddard Stark? I've said already that I don't personally expect people to keep schtum about something that aired three years ago just on the off chance that someone hasn't got around to the box set yet, but it's still a massive twist to give away - just as your friend's dad inadvertently did with you for Jacob's Ladder despite that film being a "too old for spoilers" 20-plus years old. John: This can (and does) prevent any form of substantive discourse pertaining to a series such as Game of Thrones, which is unrealistic. I mean, one can only go so far with "It's such an awesome show…". We discussed this very issue, at length, within the context of binge-viewing entire series on Netflix in A brave new (media) world. Andrew: Yes, I think that with a long-running TV show it's impossible, if not downright ridiculous, to think one mustn't cover anything that happens after the first half hour of the pilot episode. And increasingly that's becoming true of films too where they're part of a long-running series that rely on the events of the film before. It's surely impossible for someone to review Harry Potter and the Deathly Hallows without talking about the "unfortunate event" at the end of The Half Blood Prince for example, or tackle any of the Star Wars prequels without referencing Darth Vader's shock reveal in The Empire Strikes Back. But what about stand-alone single movies? Maybe the rules are different there. When does the moratorium of keeping a film's secrets expire in this case? Should we still respect the surprise shocks of The Usual Suspects or The Sixth Sense? The fate of Marion Crane and the murderer in Psycho? Or just what 'Rosebud' means in Citizen Kane? John: The spoilers in and of themselves may be enough to provoke someone's curiosity as we've discussed. I knew the outcome of Alien, but that didn't dilute the movie's shock factor. I say that and still delight in the memory of introducing unsuspecting relatives to John Carpenter's The Thing during a fright season: BOOM! Andrew: Knowing some of the scenes in that film that you're knowingly subjecting them to for your personal entertainment, I have to say you are one cruel, sick and twisted man, Mr Hood! I know there was some reason I liked you! Were those complaints fair? Should we never consider something to be out of spoiler range? Or perhaps each new version of a story generates its own new 'spoiler-free zone' that perpetuates/regenerates that of the original for a further period? John: Didn't something similar happen with James Cameron's Titanic? Sigh. Andrew: I'm not sure there was ever a serious "Don't spoil me by telling me what happens" backlash against Titanic, it was more the standard smart arse response of people quipping "I don't need to see that because I know the ship sinks in the end." Of course the point was never that the ship sinks per se, it's which of the (fictional) characters lived or died - although I have to say that with its modern day framing sequence it pretty much gave that away in the first ten minutes all by itself. But once again, it was never really about the end of the film so much it was about the journey of getting there. Teen girls wanted to spend three hours in the company of Leonardo di Caprio (and I confess I wasn't entirely averse to hanging out with Kate Winslet for the duration) but for me as an avid student of the Titanic story from years back it was just the prospect of finally getting to be 'on board' the great, doomed liner that got me to the box office. John: Good thing there wasn't a sequel! Andrew: And why ever not - they could have remade Lord Lew Grade's lost gem, Raise The Titanic! John: An excellent excuse for James Cameron to pursue his love of deep sea exploration. Not that he needs any encouragement from me. Andrew: No, when it comes to famous real life events then I don't think a gaping hole in one's general knowledge is ever sufficient to cry "Spoiler!" when someone educates you about it. In most cases such events are knowingly used by filmmakers as narrative shortcuts precisely because they assume everyone knows them: when the Titanic crashes through the Tardis wall at the end of "Last of the Time Lords" we're supposed to immediately know the significance of the name, and probably meant to assume that the Tardis itself is the iceberg that sinks her. That's the whole joy of that brief sequence after all. Similarly when the 'next episode' caption slams in at the end of "A Good Man Goes to War" we absolutely have to know who the 'Hitler' referred to is - it's the very reason it's a laugh out loud moment. These simply can't be spoilers. So you go and see Titanic knowing that the ship sinks, or that the airship blows up at the end of The Hindenberg. Audiences going to see Oliver Stone's JFK would have been completely assumed to know who JFK was and what happened to him. These are basic bits of knowledge. And that extends to fictional subjects as well: whoever went to see The Poseidon Adventure, Earthquake or The Towering Inferno without knowing they were going to see a disaster film and that the ship flips/Los Angeles crumbles/the building burns? Only the most hardline of purists could surely argue otherwise. John: A movie entitled Moon isn't inherently spoiled for being set, literally, on the moon. Andrew: Indeed, although there's all sorts of things in that terrific movie that you really wouldn't appreciate knowing before seeing it. It really is quite hard to work out what is and is not supposed to be a spoiler in any given case, isn't it? There has to be a basic knowledge about what you're going to see or else you wouldn't be watching in the first place. But that doesn't always hold: given that the early part of Jaws is all about a conflict over whether there is or is not a great white shark in the waters off Amity Island, isn't it a spoiler to give it away by referring to it as a 'shark movie'? Ye gods, this stuff gets complicated when you start really thinking about it, doesn't it? Should we just shut up about anything that's even possibly a spoiler, or else be more laid back and relaxed and know that spoilers will happen and not get too worked about them? John: Tantamount to Alice in Wonderland and falling down the rabbit hole. Andrew: Actually that gives rise to a follow-up final final question after all: whose responsibility is it to avoid spoilers? Is it the person talking (or writing, etc.) or is the burden on the person who doesn't want to know to avoid them? John: "The circle is complete," to quote Darth Vader. Subjectively, I abstain from major spoilers in reviews for Generation Star Wars in hopes it'll evoke a sense of wonder and discovery if the reader decides to see the movie, television series or play the game. Ultimately, the onus is on the individual. Andrew: Yes, I am very much of the same mind. If I do find the need to stray into things that I think are spoilers in the course of the discussion then I'l l endeavour to post a clear spoiler warning at the top and often even during the text just before it appears. But at the same time, like you I'm firmly of the view that the onus is on the reader to avoid reading things that might reasonably contain spoilers. If someone reads a review about a show/film that they haven't yet seen then they're pretty much asking to fall over information that they don't want to know so they have to be very careful about the sources that they trust not to do this. Hopefully both Taking The Short View and Generation Star Wars are among that group of review/news sites that earn that trust so that people who want to answer the basic question "Should I go and see this?" can get some sort of an answer without having it ruined for them in the process, but as we've already said what counts as one person's spoiler might not occur as one to another - no one's infallible. And at the same time, I don't blame those reviewers that do a 'warts and all' review that tells every detail - you just have to know to stay away from such reviews until it's safe to do so. Which brings me to Twitter and the number of times I see people talking about a film, TV show or sporting event and saying "Oh, don't post a tweet saying what happens/what the result is! Don't spoil it for me!" Which is just rather exasperating, that people think the whole of Twitter is going to stop talking about something purely on their account. Twitter is very much a live, 'of the moment' platform and if anyone wants to avoid spoilers then they need to stay off it for the duration or else try using some of the new 'mute' tools that are around - unless they're very confident that the people they are following can be trusted to their timeline free from spoilage for an arbitrary length of time. (Tip: it won't happen.) Personally I'd rather keep my access to Twitter open. If there's something that I think might be a spoiler then I'll try to avert my eyes and skip over it, but occasionally accidents do happen (as I said, I found out the twist in "The Lion and the Rose" about five minutes after the episode aired in the UK) and that's just a fact of life. It's either learning to cope with spoilers or else sealing yourself in the world's most anti-social plastic bubble for the rest of one's life. John: Twitter recently added a 'mute' option to its mobile app. Andrew: I haven't used it yet, but the iOS Twitter client I use (Echofon) has had a similar feature for ages. I do have some sympathy for people tripping over 'out of the blue' spoilers though, where someone is talking or writing about something completely unrelated and without warning they throw in a spoiler for something else. "I cut my finger and it was like the shower scene in Psycho where X slashes Y, blood everywhere!" would be a top-of-the-head example. And mean-spirited intentional spoilers rile me as much as the next person - such as people who bounded out of The Sixth Sense at the cinema and reportedly went down the line of people waiting for the next showing shouting the big twist at them. John: Really? Thankfully never experienced that at the cinema. My worst cinema going experience to date was at a premiere of The Phantom Menace! Not so much Jar Jar Binks, but an intoxicated audience member who took it upon themselves to loudly read out the opening crawl and continued to comment until a member of staff expelled them (to applause). However, the cinema chain was unable to give us free tickets to see The Phantom Menace a second time due to the distributor's money-grabbing stipulations. Andrew: These examples aside, though, for me it's mostly a case of 'buyer beware' when it comes to spoilers. And I absolutely apply that to myself as well: when I stumbled across that spoiler for "The Lion and the Rose" I wasn't angry with the person who posted it, just annoyed with myself for putting myself in that exposed position in the first place. John: Agreed, unless they write for The Culture section of The Sunday Times. Andrew: So I guess we've reached the end of our travels through spoilerdom. And what are our conclusions, I wonder? For me it's that spoilers are a fact of life, and unless you're going to take some pretty extreme anti-social measures to avoid them it's better just to chill out and relax, and simply see it as an alternate way of experiencing the show/book/film/sporting event - and not even necessarily an inferior or 'spoiled' way of doing so, just different. I'm not one for seeking out spoilers, but only because so many find their way to my door unbidden as it is without going looking for more. I try and avoid them but then embrace spoilers when they (inevitably) happen as adding more to the experience than they detract. And all that said: I'd still reserve a special circle in hell for any fiend who wantonly sets about ruining other people's enjoyment by intentionally telling them things they'd rather not know. Accidents and unintentional slips are one thing, but actually doing it on purpose is another matter entirely. John: Spoilers aren't the end of the world by any means are they? I've yet to encounter a spoiler that culminated in curtailing my enjoyment; especially if the media in question is open to interpretation such as Inception or BioShock Infinite. This may be the perfect juncture to finish and post something speculative regarding Star Wars: Episode VII on a spoiler forum… Oh, hold on! Andrew: Heh! Let's be careful out there, everyone. From a galaxy far, far away... to Transformers. Pitting Autobirds against Deceptihogs later this year! 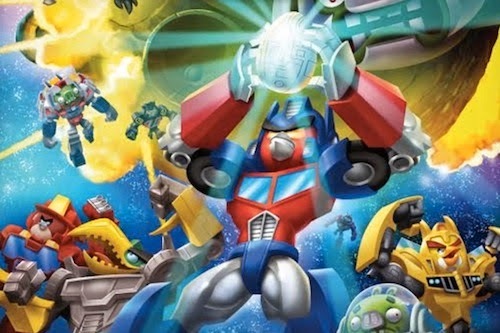 "We’re really excited to combine the iconic Transformers universe with the quirky world of Angry Birds," said Blanca Juti, chief marketing officer of Rovio. "This mash-up is going to appeal to both those who grew up with the brand in the 80’s, as well as fans of the brand today. People are going to love it!" As with Angry Birds Star Wars. Rovio will release new Transformers-themed Telepods in partnership with Hasbro. Has the bubble burst for Angry Birds? Let me know in the comments below. With an alleged budget of $500 million dollars the weight of expectation weighs oh-so-heavily on this new IP. However, developer Bungie and publisher Activision may have a killer app to rival Halo and Call of Duty franchises! Initial impressions are positive and the game only crashed once! 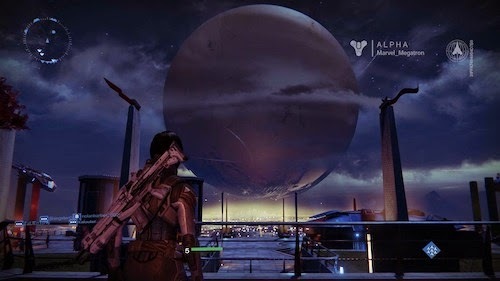 Destiny looks beautiful, Killzone: Shadow Fall beautiful, and evokes Bungie's earlier opuses: Halo and Marathon. There's a Mass Effect and Phantasy Star Online vibe, which compelled me to create a human character in homage to Miranda Lawson. Incidentally, actress Yvonne Strahovski is deftly holding her own in 24: Live Another Day. Is it me or is Peter Dinklage's Ghost bereft of emotion? The beloved Game of Thrones actor is no match for Cortana or EDI and at times he sounds sardonic, which may or may not be his intention. Just hear him say "It can't be... It's the hive! ", without sniggering. Bill Nighy seems to be having more fun. The Alpha is a teaser of what to expect this September. I played story mode, without so much as a tutorial or context, with several other PSN friends and random players joined in on the action too. Friendly fire is not a good tactic, in the midst of an epic battle, and I wasn't the one firing! Looting is addictive and brings Borderlands to the table amidst the Halo and Mass Effect design cues. 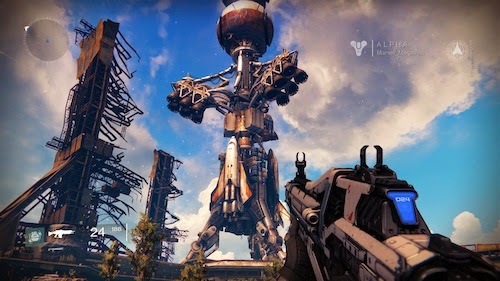 Looking forward to Destiny? Let me know in the comments below. 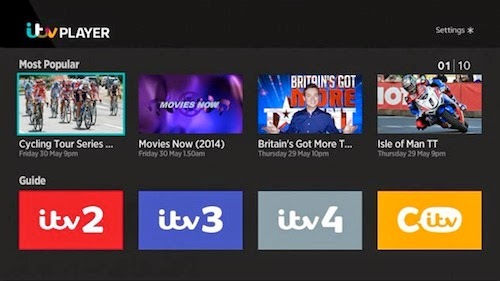 From today customers using a NOW TV Box will start to see the ITV Player app automatically download onto their device as part of a phased rollout over the coming weeks. It’s the latest and last terrestrial catch up TV service to launch on the NOW TV Box, which already offers BBC iPlayer, 4oD and Demand 5. Customers will be able to catch up on ITV, ITV 2, ITV 3, ITV 4 and CITV from the last 30 days on their TV. This will add hours of great content available via the NOW TV Box, for no extra cost. This summer those with a NOW TV Box can enjoy a carnival of footballing action through the app with all the drama of ITV’s 34 World Cup matches being made available on demand through ITV Player. And it doesn't stop there – never miss episodes of popular shows such as Coronation Street, Midsomer Murders or Emmerdale again. Martin Goswami, director of pay and distribution at ITV, said: "A key part of our strategy is to make our content accessible on multiple platforms and we are delighted to be working with Roku to bring our programmes to their devices." Ed Lee, VP content acquisition at Roku said: "ITV Player is one of the most recognized sources of programming in the UK and we're delighted to bring its premier library of popular shows to Roku customers in the UK. Our focus is always on offering the best streaming entertainment and ITV is a great addition for TV lovers." Gidon Katz, director of NOW TV, comments: "The NOW TV Box is already great value for money and now with the addition of ITV Player there is even more great content to enjoy on your main TV. Combining World Cup action and award winning soaps with the flexibility to dip in and out of great movies, entertainment or sport from NOW TV, our little box has all bases covered." Buy a NOW TV Box from £9.99 including postage and packaging. In the first part of our discussion posted last week, we started looking into the phenomena of the spoiler and asked whether it was all bad or whether there could be an upside to it? We continue our ruminations further this week, and wonder whether falling foul of spoilers actually stops us from watching programmes; which current shows are the most spoilered; whether a whodunit is automatically ruined by knowing the guilty party; and the question of whether novels are turning into spoilers for the TV and film adaptations made from them? John: Have spoilers stopped you watching a movie or beloved series? The controversial conclusion to Lost spread across the social media space like wildfire. I never felt compelled to watch the final season! Incidentally, I originally joined Twitter solely to discuss Lost with fellow fans. Andrew: For me the equivalent would be The X-Files on a CompuServe forum which was one of the reasons I got online in the first place.. You never forget your first shared Internet fan obsession! Andrew: And like you, I never did get to see the end of Lost either - Sky fell out with Virgin Media and pulled their channels from the cable platform mid-season so that was it for me. But in any case, I was never as into it as many people and actually found it more irritating than intriguing to be honest. I've never felt inclined to go back and finish it off. I've heard the gist of the way it finished if not the details, but it doesn't make much difference to me. The only scenario I can think of where a spoiler might stop me from watching something would be if the entire thing hung on a single reveal - whodunits being the most obvious example. Would I still want to see Se7en even knowing who John Doe and his last victim are? Or see all of Twin Peaks if I knew from the start who killed Laura Palmer? Or sit through 23 episodes of Murder One if I already knew who killed Jessica Costello? Or 20 episodes of Forbrydelsen (the original Danish version of The Killing) if the identity of Nanna Birk Larsen's killer was known at the outset? Or even eight episodes of Broadchurch if I knew for certain who the killer of Danny Latimer was from the first scene? Actually ... I probably would. After all, I'll happily rewatch various adaptations of Agatha Christie stories such as Murder on the Orient Express, And Then There Were None and Death on the Nile despite knowing every last intricacy of the plots. Even with whodunits - the good ones, anyway - it's never just the end result or the final reveal that makes or breaks the show but rather the richness of the journey in getting to that point. All of the above examples bear repeated viewings even if you know the outcome. John: The journey is often more interesting than the destination. Alas, George Lucas struggled with the Star Wars prequels until the last moments of Revenge of the Sith. Andrew: Yeah, there's a reason why fans have watched the original trilogy dozens of time apiece, but it's hard to find anyone doing the same for the prequels. The films are just too thin, and as a whole rely on a specific plot point (about Anakin) that can't be considered a spoiler exactly, but which might as well be in that it makes the path of the three films depressingly obvious from the get-go. The aforementioned Oblivion is another example: it relies so much on one central twist - and works its way too slowly to this revelation. On first unspoiled viewing it's quite suspenseful, but if you know where it's going then the film is just dull. Lots of pretty production design, FX and Icelandic locations to admire, but not enough substance to the story. It seems to me to be a film that has very little rematch value once you know that key plot point, whereas by contrast Duncan Jones' Moon also relies on a big twist but the story it tells around that is rewarding enough that I can watch it again and again regardless. John: Oblivion evoked the stark conceptual look and feel of 2001: A Space Odyssey and an Apple Store, which is OK in my Bauhaus-admiring book. Moon is a love letter to fans of 1970s sci-fi and I'll never tire of it. You may recall I started watching Twin Peaks, again. Soon stopped in favour of The Good Wife and a self-curated Star Trek: The Next Generation 'best of' season on Netflix. Andrew: I have to confess that I'd missed the fact you had been getting back into Twin Peaks! That show is from the pre-Internet days of course - that would have been a Twitter storm if it had come along today! Did you stop watching because it didn't live up to your memories? Or because you knew the whodunnit? John: Twin Peaks was the subject of exhaustive academic analysis in college. Fatigue quickly set in despite the allure of teen crushes Mädchen Amick and Sherilyn Fenn. Andrew: Granted it dipped after the reveal of who killed Laura Palmer (something forced on the show by the networks as I recall) but it had just got on the road back with the secret of the Black Lodge when it was sadly cancelled. 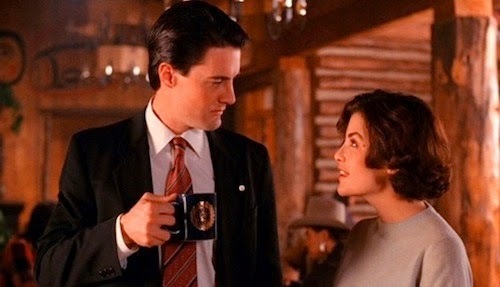 John: Perhaps Twin Peaks is ripe for a reboot? At this juncture I urge readers to see Remakes and reboots: is Hollywood in decline? Andrew: Don't even tempt fate by mentioning a Twin Peaks reboot - that would be sacrilege without David Lynch. And anyway, the studios and networks are too busy looking into a whole new cinematic reboot for Battlestar Galactica and even talking about reviving Lost as a TV series, simply on the grounds that some fans are still miffed by the way both series ended. John: Isn't Bryan Singer directing a big screen Battlestar Galactica reboot? Guess he's too busy back at the helm of the X-Men franchise. Andrew: I guess this is getting beyond the question of spoilers: we're now straying into talking about "is this a film/show that bears repeated viewings?" If it does then no spoiler is going to ruin it; if it doesn't then we're just dealing with a not terribly good film/show in the first case and hardly worth worrying about spoilers. So which are the current shows that you've found to be the most spoiler-tastic? John: Looks like social media is awash with Game of Thrones spoilers and heated arguments therein. Mondays may witness a self-imposed social media blackout until after the broadcast of new episodes on Sky Atlantic. Andrew: It took me about five minutes after "The Lion and the Rose" aired in the UK before I accidentally fell over a spoiler on Twitter. Ahh well, it was always going to happen so I'm trying not to worry about it too much. Whereas the show that I really would hate to find out too much about is True Detective, another series that my cable provider doesn't carry and which I therefore had to keep myself in the dark about it as much as possible until the DVD/Blu-ray was released. John: True Detective boasts some of the most memorable dialogue it's been my pleasure to hear. Ever. Andrew: I am so looking forward to seeing (and hearing!) that. Doctor Who is always ripe for spoilers too, especially last year for the 50th anniversary shows, but not so much as of time or writing while it's off-air - although purists will hate the location filming photos that inevitably leak out. Recently there was one of Peter Capaldi and Da Vinci's Demons Tom Riley and it seemed very clear from the costume what role the latter is to play, which is actually a rather sizeable spoiler. Other than those, have you noticed any other shows where you're constantly in danger of spoilers rearing up on you unexpectedly on social media? John: The Good Wife and Mad Men! I'm binge-viewing both in the hopes of catching up before new series start in earnest. Rendered moot if friends are zealously tweeting prior to international broadcast. Perhaps Sky's simulcast strategy is the way forward with Game of Thrones and 24: Live Another Day? Of course Netflix got there first with House of Cards on a much grander scale. Andrew: Yes, I remember that Phantom Menace faux pas: revealing a key plot twist via the album soundtrack listing which was out some time before the film itself was in cinemas. What an amazing goof by the companies involved. The simulcast approach is certainly one way of preventing transatlantic spoilers (although I think that the real driver in this case was cutting down on torrent piracy by people impatient to see the latest episodes!) Unfortunately only works if you have access to the TV channel in question and sadly in the case of Game of Thrones and Mad Men being on Sky Atlantic, that's not the case for me; and I certainly wouldn't expect people who've seen the latest shows that way to not talk about it for months just so that I can catch up, so some spoilerage is inevitable. Even so, I was shocked to see a Radio Times 'today's highlights' piece for the week after Game of Thrones' Purple Wedding reveal that episode's shock ending in its very first line without any warning. People really are getting very slack about this sort of thing I can't help but think. What with different countries airing episodes on different schedules, and now people binge-viewing box sets to their own schedules rather than the networks, it's becoming harder than ever to avoid key spoilers. Especially with on-demand streaming services now doing original programming with shows such as House of Cards on Netflix. Did you manage to avoid all the annoying advance tidbits with that one? John: Yes, I managed to avoid serious spoilers in House of Cards S2 and the shock ending in Game of Thrones "The Lion and the Rose", which was miraculous. Talking torrents. Game of Thrones is by far and away the most pirated series in history. Andrew: And yet the season 3 box set had also just become the UK's biggest-selling DVD/Blu-ray release in the last decade so far, showing that pirating doesn't seem to do all that much harm at the end of the day - at least in this case. All the more remarkable given the decline in sales of physical media in recent times. John: There's still some life left in those silver platters despite Sony citing a flagging interest in the format. The Sunday Times Culture review section has been known to include major plot spoilers. Entertainment Weekly is much more proficient in issuing reasonable warnings. Kudos to the editorial department. Andrew: That's interesting - I wonder if there's a difference between the US and UK approach to spoilers? Are US publications inclined to be more circumspect about such things then? Is mainstream media in the UK just more casual or careless about letting key bits of information slip out, I wonder? Of course, specialist publications really need to be careful where they step: a magazine that divulges a spoiler to an avid fan audience without due warning is likely to pay very heavily in terms of the sort of backlash that only the most obsessive fanatics are capable of! Andrew: I'm wondering whether that's anything to do with the historic difference in how things used to be broadcast: whether the UK publications and indeed audiences have simply grown used to details from US TV having largely leaked out by the time they air here? That might be changing with the increased use of simulcast, though. Thinking back, I'm pretty sure the first example of a show being near-simulcast that I can recall would be the Dallas episode that revealed who shot JR. The TV cameras were at Heathrow to film the arrival of the courier bringing the cans of film through customs, such was the frenzy to know! John: Discussed Dallas over the Easter weekend when the subject of spoilers was raised by a cousin. They were intrigued by a pre-social media era. A world sans spoilers is an alien concept, broadly speaking. I'd argue a less fun one at that. Andrew: Was it all that different? I remember everyone talking for months about the "Who Shot JR?" cliffhanger and speculating who it was, scouring the newspapers for any leaks. A different type of 'social' perhaps but not really all that far removed. We just have better tools to do it now! John: An interesting point. I've kept clear of source material when enthralled by a film or TV adaptation. For example The Hunger Games. Andrew: I read The Hunger Games after picking up on the buzz for it as an e-book, not realising that it was about to become a film - the novel is very good, incidentally. And I also made a point of reading each instalment of The Lord of the Rings just before the Peter Jackson film of each part was released. It never occurred to me at the time that this was effectively exposing myself to "spoilers"; I just knew if I didn't read the books before seeing the film, I never would afterwards so it was a "now or never" moment. John: Read portions of The Lord of the Rings in childhood, but am more familiar with Brian Sibley's wonderful adaptation for BBC Radio Four. An audio drama touchstone and inspired me to work as a foley artist at Radio Four; where I worked with Sir Christopher Lee (Star Wars and The Lord of the Rings). Andrew: Oooh, that's a very cool tidbit! I guess I always had the feeling that the LOTR films were first and foremost for people who already knew their Tolkien and that one's appreciation of the movies rested largely on familiarity with the source material in the first place. Moving on to another hugely successful 21st century franchise, I certainly feel that people are better off if they've read JK Rowling's books before seeing the Harry Potter films simply because of all the extra background details that can't be properly conveyed on film. As my recent marathon watch of all eight Potter films revealed, there are some sizeable plot holes in the movies that result from the screenplays abbreviating or skipping over crucial story points from the books. And of course, mentioning Potter recalls one of the more amusing "spoiler" stories: Mark Kermode and Simon Mayo doing their utmost to not divulge the ending of The Half Blood Prince and going so far as to dub it "the unfortunate event" so as not to spoil it for people heading off to the cinema. I still chuckle when I hear the phrase. And were there really that many people seeing the film who wouldn't have known the shock development in advance? John: For one reason or another I never got around to reading the books. Incidentally, Harry Potter prequel The Fantastic Beasts and Where to Find Them is set to become a big screen trilogy at Warners Bros.
John: Am I sensing consumer resistance? Andrew: More like Hobbit fatigue. Andrew: I read the first four Potter books before seeing the respective movies, but then stopped. Which I think was probably a mistake, because my recent Potter-thon made me realise just how unclear or how much stuff the movies had been forced to leave out, and how that affected the understanding of the plot. I had to go back and re-watch one of the films (the first half of The Deathly Hallows) because without the book, it didn't actually make a lot of sense. In the end I started reading the novels I hadn't got around to before, and realised just how much more there was to them than had been transferred to the movies, and how much that additional knowledge added to the enjoyment of watching the films. So are the novels spoilers in this case ... or prerequisite knowledge? I have a similar sense when it comes to Game of Thrones because the world of Westeros that George RR Martin creates in the books is so rich, deep and detailed that no TV show can possibly hope to incorporate it all into a fast-moving visual medium. I think the producers and writers do a phenomenal job with it, mind, but it still leaves me wondering: would it be better to read the books in advance of the series, or better not to? The novels would spoil the shock twists coming up in future, but would the episodes as a whole be more enjoyable for it? And that leads to a different question: what should the makers of new films and shows do if they are adapting stories from other sources? Should they play on that expectation that a sizeable audience will know the story and adjust it so as to create something that isn't 'pre-spoiled' by anyone's possible knowledge of the source? I'm reminded of the US version of The Killing which changed the ending because they didn't want anyone going online and finding out who the killer was in the Danish version. And I believe the US version of Broadchurch (Gracepoint) is also going to have a different resolution, which astounds me because the outcome of that is no 'plug-in and play' separate component but is absolutely woven into the very nature of the entire series. But the net result is that I now want to watch Gracepoint to see what they do with it and how well it works, whereas I would probably have been indifferent to a straightforward remake. John: The US version of The Killing has garnered its own cult following, and Netflix has bankrolled a final 6 episodes to wrap things up after the series was cancelled, twice. Andrew: I'm glad it found its audience, I thought the US version was a better show than it was given credit for at the time. Not sure the change in ending made a huge difference and in fact the more it strayed away from the Danish original, the more trouble it seemed to get itself into and the less satisfying it felt. Sometimes change for its own sake isn't a great strategy. So do new adaptations have a duty to stay faithful to the source's main plot points? Or does the need for the new version to avoid 'spoilers' take precedence? John: Game of Thrones isn't averse to diverging from the source material, which is laudable. This was evidenced in the final minutes of "Oathkeeper", surprising everyone. I squealed with delight. Andrew: Yes, that does seem to be the first big departure from the books for the TV show; although that said, George RR Martin and the show's producers seem to be working together so closely it's hard to believe this isn't entirely consistent with Martin's vision for the as-yet-unwritten entries in the canon. I guess it could muddy the waters somewhat - do the books still count as spoilers to the TV show, or is the TV show now becoming a spoiler for the to-be-published novels?! I also understand that the "whodunit" left hanging after the Purple Wedding is going a slightly different way in the series to the story in the books, from what I've read so far. I confess that after learning that twist, I actually went and looked up two things from the books (about who would be next to inherit the throne; and who did the deed) so this was rather a case of deliberately going out and spoiling myself on these points - not something I often do, but curiosity got the better of me this time. What about you, any instances where you've just had to know something and gone out and tracked down a spoiler regardless? John: The Matrix: Revolutions! I had no appetite for the finale of The Matrix trilogy, but wanted to know the conclusion without wading through the film. Andrew: Heh! While I agree that the Matrix sequels weren't a patch on the originals, I still saw them through to the bitter end and thought they had enough merit to keep watching. Give them another go when you have time - with firmly lowered expectations! John: If I revisit The Matrix trilogy, I'll let you know. Andrew: Clearly I'll know it's happening when hell starts to show signs of frost! But does it even count as a 'spoiler' if you have no intention of seeing the work in question, I wonder? I don't watch any soaps at all any more, but every now and then a storyline will pop up and be all over the tabloids and social media to the point where it will pique my interest sufficiently to go and read up on what everyone's talking about. But I don't see that as spoilers at all, since I have no involvement in the show and no intention of watching it. Well that's my excuse, anyway - and I'm sticking to it! Still with us? Then come back for more in seven days time when we wrap up our discussion about spoilers. The third and final part continues to look at cliffhangers, the danger of over-analysing shows and the question of just how long a 'spoiler' remains in effect for. With examples from the likes of The Great Gatsby and Titanic along the way, we finally arrive at some conclusions - so we very much hope that you will join us for that! I'm not especially enamoured with Hollywood's ongoing obsession with 3D in an attempt to woo audiences into multiplex cinemas with ever-increasing ticket prices due to lack of competition. However, James Cameron's Avatar and Gravity are notable exceptions. A week doesn't go by without another multiformat release; the majority of which undergo 3D conversion in post-production with very mixed results. Just got out of working on the 'Guardians' cut for IMAX 3D and I'm unbelievably excited about it. 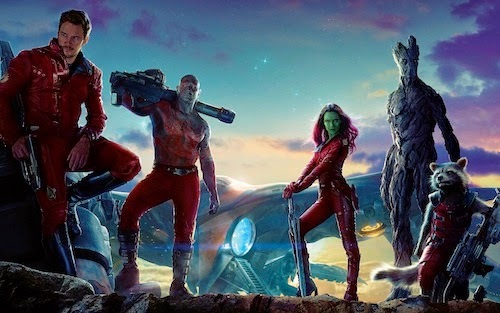 Guardians of the Galaxy has been planned as a 3D film from its very inception. Yes, if you see the film in 2D, you'll get a full experience. But the 3D experience promises a little something extra. Unlike many directors, I've been actively involved with converting every shot to 3D, making sure it works perfectly for the story and the film, making sure it's spectacular and immersive without being silly, distracting, or overly showy. 3D conversion was once far inferior to shooting in 3D, but over the past couple years new technology has allowed us incredible control over the 3D effects, making it equal to or in some cases greater than shooting in 3D. As an EXTRA benefit for those who see the film in IMAX 3D, we will be changing aspect ratios throughout the film in a way that makes the experience even fuller and more encompassing. I've personally chosen all the places where the changes occur and, again, I love how it's coming along. The changing aspect ratios in this case are actually a part of the storytelling. Just wanted to share some of this stuff with you guys since I haven't had a chance to talk about the 3D much. Hope you're all having a great day. Hi! Kudos to Gunn for being hands-on in this instance. Other directors may be pressured into further post-production add-ons to the detriment of any artistic considerations. Edge of Tomorrow's battles were primarily set in daylight to accommodate the darker viewing experience inherent in 3D projection. Will you see Guardians of the Galaxy in IMAX 3D? Let me know in the comments below. 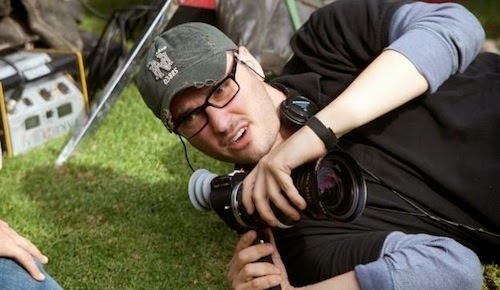 Josh Trank, director of Chronicle and the upcoming Fantastic Four reboot, is helming the second standalone Star Wars movie, which quickly follows Lucasfilms' hiring of Godzilla's Gareth Edwards for the first spin-off. Would you like Trank to direct a Boba Fett or Han Solo spin-off? Let me know in the comments below. This post originally appeared on Cloister Bell in 2012. While I've been putting an Xbox 360 through its paces and watching classic Doctor Who serials on Netflix, Andrew has expertly deconstructed S17 for your delectation! Season 17 of Doctor Who has to be one of the oddest, most split-personality seasons in the classic show's history. On the one hand it contains one of the best and most beloved serials of all time, which itself also boasts the show's largest-ever episode audience viewing figure (over 16m). And on the other hand, the series contains some of the series worst and laziest disappointments. By the latter half of 1979, Doctor Who was frankly running on empty and looking tired. Tom Baker was bored and not taking it seriously anymore; producer Graham Williams had done his best in a job that had been foisted upon him against his will two years before, but his heart was no longer in it either. The show had the same theme music, title sequence, star, costume and incidental music that it had used for the last five years: it felt stuck in a time loop. Anyone coming back to test the waters of the show post-Star Wars after five years of not watching - which was pretty much my situation - would have been forgiven for thinking they were watching a period drama rather than a science-fiction show. His first idea for a 'tentpole' production was the return of the Daleks after a five year absence following the acknowledged classic "Genesis of the Daleks." What could possibly go wrong? It was a sure-fire winner with which to start the season. Unfortunately Dalek creator/writer Terry Nation was just as much in the grip of malaise as the rest of the show and indeed the rest of the country. He turned in a clichéd, charmless script for "Destiny of the Daleks" that lacked any creative imagination but simply fell back on the same tried old tropes that had looked dated even back in the 1960s. Add to that battered Daleks that looked as though they'd been brutalised in five years in a locked props cupboard, charmless new 'arch-rivals" the Movellans, and an actor playing Davros saddled with an ill-fitting mask not even made for him, and you have some idea of how tired and disappointing this sure-fire 'winner' ended up being. In many ways, it perfectly personified the current state of the show as a whole and displayed all the problems facing the production team. 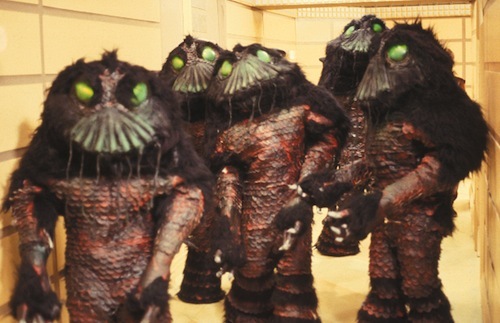 When production on a second 'tentpole' collapsed because of union strike action - "Shada" being perhaps the most mythologised story in all of Who fandom, and well worth getting Gareth Robert's just-released novelisation of Douglas Adams' scripts for this, or better yet getting the audiobook version narrated by series star Lalla Ward - it left "City of Death" as the season's only successful aired prestige serial. And it really is excellent. A star cast (Julian Glover, Catherine Schell, even a cameo from John Cleese) and a truly innovative sci-fi idea (probably Douglas Adams' best TV work of all time) coupled with the show's first foreign location shooting and some great production values and FX. If "Destiny of the Daleks" and "Shada" had been anywhere near this level then series 17 would indeed have been a classic year. And then there is "Nightmare of Eden", which finally comes to DVD this week - one of the last Tom Baker-era serials to come to the format. Now it's a funny thing about "Eden", because by rights it falls firmly in the "dross" category. It has the same faults as "Pit" and "Nimon": some dreadfully overcooked acting (Lewis Flander's Tryst would have been too absurd even for 'Allo 'Allo, Geoffrey Hinsliff looks like he's auditioning for his later role in soap spoof Brass, while David Daker still thinks he's playing Irongron from season 11's medieval serial "The Time Warrior"); some laughably bad overlit generic-SF corridor sets; a monster that looks exactly like a man in a fur-lined rubber suit that comes complete with built-in 70s flares; FX that show a total lack of time and budget; sets that literally collapse underfoot but for which there is no time to mount reshoots. But here's the thing: I can't help rather liking "Nightmare of Eden" for all that. Almost admire it, in fact. It's clearly not one of the production team's favourite sons of 1979, but it at least has the spirit and wits to try and fight on regardless. I shouldn't like "Nightmare of Eden", then - but I do. 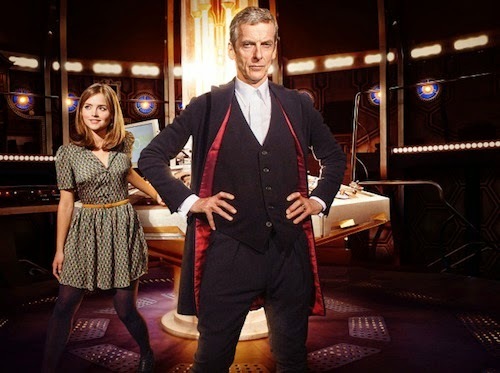 I'd go so far as to say that if it hadn't had a spark of life in it, some glimmer that the show didn't have more to offer than the two stories that bookended it to either side, I might not have come back to watch series 18 at all and I would have dropped out of Who fandom for good this time. Even so, it was clear to everyone involved that something - indeed, pretty much everything - had to change in Doctor Who for 1980. Williams finally got his parole and moved on, and the BBC hierarchy looked for anyone dumb enough or hungry enough to take on the poisoned chalice of one of the Corporation's longest-running shows. They didn't have to look far, and found the man they wanted in the Doctor Who office: production manager John Nathan-Turner. And it turned out he had a few ideas that meant that season 18 would be very different indeed, and season 17 soon became just a distant nightmare tucked away in a CET machine. Or DVD player, as we call it these days. With over 20 years of working in the media industry, Andrew Lewin is currently a freelance writer, social media consultant and web developer/programmer. He's also a technical specialist in the fields of accessibility, usability, information architecture and online communities. Andrew currently writes for motorsports website Crash.net reporting on IndyCar, NASCAR and GP2, and runs a review blog at takingtheshortview.wordpress.com, which reveals a worrying obsession for classic black & white movies, Nordic Noir and all things Doctor Who. 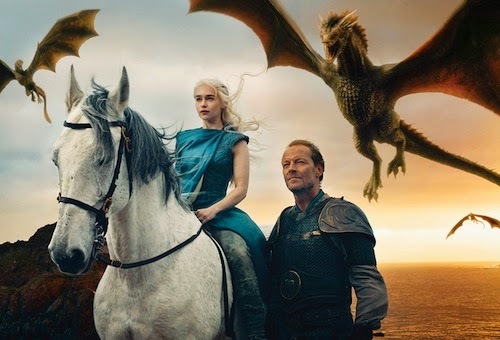 The return of Game of Thrones for season 4 has once again made the Internet a minefield for those of us who aren't able to watch the show in real time because of not having the right satellite, cable channel or streaming service to see the show before it makes its way to DVD and Blu-ray in 11 months time. How on earth do we manage to stay pure and spoiler-free for that amount of time without accidentally finding out something devastatingly pertinent in the meantime? Andrew: Since it was mentioned in the introduction, I should confess that I am - as you know - very far behind in my viewing of Game of Thrones. Despite absolutely loving the first season, I've yet to even get cracking on the second box set. While it might be vaguely reasonable to insist that no one spoils the current season now airing on television for at least a few weeks or months, it's clearly ridiculous to expect them not to speak freely of events that happened a year ago or further back still. As result, even before I watched a single episode of Game of Thrones I knew that the person who was the evident star of the show - Sean Bean playing Eddard Stark - didn't make it to the end of the season without a sudden reduction of about a foot in height. This is, as you can image, a rather huge spoiler - arguably it's the shocking pivotal point of the entire first year. Knowing that, you would think, would irretrievably wreck the viewing experience. But actually, it really didn't. It certainly changed the viewing experience, I'm sure, and given a free choice then I'd have preferred not to have known in advance, but I'm not sure it did any major damage - party because the key moment came so much earlier than I'd expected, a sudden twist in fortune that still caught me off-guard when it happened. While I knew Stark's ultimate fate in the show I had managed to stop myself from knowing the details of how we got there and that made all the difference, it seems to me. In the same way I know in a general way about events such as Blackwater and the Red Wedding and now the Purple Wedding, but it doesn't impact my eagerness to get to those points in the box sets, or lessen my enjoyment of the show or the effect of those shocks when they happen anyway. So while I don't tend to seek out spoilers, I also don't fly into a rage when one lands in my lap, and I wouldn't declare the whole show ruined for me for all time if and inevitably when it happens. Does that make me an unusually forgiving and forbearing sort of person, or are you the same? John: I'm of the same mind, Andrew! Inadvertent spoilers don't phase me per se, but I try to be discreet in how I disseminate information. For example my enjoyment of Captain America: The Winter Soldier was distilled in a spoiler-free review, which made no reference to the titular character, nor identity. It piqued friends interest in a movie they were otherwise disinterested in. Perhaps Marvel should appoint me to the company's social media division? Of course there's an omnipresent issue that friends can post spoilers on perfectly innocuous status updates on Facebook. I've received disgruntled direct messages from friends complaining about this. It's exhausting policing my own timeline for fear someone will reveal to the world that Darth Vader is Luke Skywalker's father. D'oh! Andrew: Yes, the international aspect of social media these days makes it very difficult to know what is and is not a spoiler in people's minds - what might have been open knowledge in the UK for months might still be a shock waiting to happen in another country, but how can you police that? And should you? And the nature of what constitutes a spoiler is different for people as well: like your incident with the Red Supreme Dalek, I know a number of people who regard even the official 'next week' trailers at the end of shows like Doctor Who as spoilers and have been reprimanded for mentioning something seen in them even though the network/show producers themselves have chosen to reveal it. Once I was angrily rebuked for a contribution to a conversation about who was to replace Matt Smith as the Doctor, since they regarded the international headline news that Smith had officially quit as a 'spoiler' until the very moment itself came for Smith to depart in the TV series. I think it's safe to say that was a bit of a rogue outlier when it comes to spoiler sensitivity, though. At least - I hope so! John: Way back in 2003 I was banned from a Star Wars forum for suggesting the original Death Star would be seen in Episode III! The fact this was a 'spoiler zone' made it all the more ironic; seemingly the irony was lost on forum members too eager to protest. The Death Star did appear in Revenge of the Sith and I was vindicated! Andrew: Okay, so maybe my guy wasn't such a rogue outlier in that case! Anyway, like you I don't mind spoilers myself but I am very aware of not wanting to inadvertently spoil something for anyone more sensitive than I am - which can make writing reviews for Taking The Short View really very tricky at times. On the whole I end up saying very little about the plot of a film or show and stick to just a couple of lines about the set-up and then outline the main characters/actors, but it's very rare for me to go into more detail than that because it's instantly spoiler territory as far as someone out there is concerned. For example, I was keenly aware that in the piece I did on Gravity I had to write it in a very specific way so as not to give a major plot twist halfway through that most other reviews seemed to me to have implicitly done. John: There's an art to crafting reviews that capture the essence of something, whilst preserving enigma and creating a need in the reader to see it. Wish more critics would aspire to that philosophy. Andrew: I can aspire with the best of them, but everyone slips up now and again. And it's really not easy to pull off sometimes: one review I recall as being particularly difficult in this regard was the one of Oblivion. A good rule of thumb for spoilers is "If it's in the trailer and adverts then it's fair game to talk about it" and that's what I normally go with, but in the case of Oblivion, the PR campaign was disastrous and I felt it seriously harmed a lot of the film by being too explicit: you could accurately predict the final twist from what they divulged. So when I came to writing it up I pretty much only used what was introduced in the first five minutes of the film, and didn't even credit half the cast/characters in the film because simply knowing they existed (let alone who they were or who was playing them) gave too much away. Another problem was that the thrust of the review was about the film being too derivative of a number of other science fiction films, but to start naming these influences too specifically also risked giving away and spoiling the plot twists. What's a reviewer to do in a situation like that with both hands now tied behind their back? John: Somehow I managed to avoid the major plot twist in Oblivion almost a year after its theatrical release! Bizarre, but true. Andrew: I remember seeing the trailer in the cinema and on the spot I thought, "Oh, then this means X, Y and Z will happen" - and it did. I think that's why so many people were disappointed when they saw it. Fortunately I didn't watch it until it was out on Blu-ray and by then some of the memories had faded. Going back to the perils of reviewing without giving things away, there are also definitely times when it's impossible to adequately review something unless you wade headlong into full-blown spoiler territory. That's very much the case with series (film or TV) where events in a new instalment may well hang on the shock reveal from the previous one - your example of Darth Vader's declaration being very much a case in point! Or on a lesser note in the classic Doctor Who serial "Destiny of the Daleks" that I recently reviewed, where I couldn't talk about it without revealing that the story includes a) Daleks, b) Davros and c) robot android adversaries. Key criticisms I needed to make of the serial stem from these points but they're all nominally spoilers. At that point I just have to slap on a spoiler warning and dive in anyway; the fact that the show in question is 35 years old also insulates it from some criticism, hopefully! John: Mentioning Daleks in the title precludes a shock entrance from Doctor Who's most famous foes. However, it does guarantee eyeballs. That was the brilliance of "Earthshock"! A title that gave nothing away and the return of the Cybermen was all the more memorable for it. Surprise is an elusive commodity in an era of instant gratification. Andrew: It does make me laugh that there are about a dozen classic Who serials where the big dramatic episode one cliffhanger reveal is the Daleks crashing in, and we're all meant to be shocked - despite having already been told that the title is "... of the Daleks"! By comparison, "Earthshock" had one of the best episode 1 cliffhangers of all time (and indeed, also has the most shocking episode 4 ending as well.) Producer John Nathan-Turner was offered a Radio Times cover by the BBC to promote the return of the Cybermen and he actually refused because he wanted to retain the impact! I know JNT is a divisive figure in fandom but he also did the show a lot of good, and his handling of "Earthshock" is a prime example as far as I'm concerned. John: JNT has my eternal gratitude for that at least. Andrew: Of course, no one could hope to retain that sort of shock in this day and age thanks to the all-pervading Internet - or could they? I had certainly managed to completely miss all the spoilers that were apparently swirling ahead of the 2006 story "The Army of Ghosts" and consequently literally fell off my chair when the Daleks suddenly sprang into shot at the climax of what I'd completely assumed was a Cyberman story. I was obviously such a big Classic Who fan that the possibility that the Daleks and Cybermen could ever appear and interact in the same episode was just something my brain had already been pre-programmed not to accept even when all the signs had been there. Andrew: A bit of a lost opportunity, I agree, but I'm still rather fond of it. And no one does build up quite like Russell T Davies. Case in point: the show also caught me out in 2008's "The Stolen Earth" when the Doctor is exterminated by a Dalek (them again!) and starts to regenerate. This was at the time when we knew David Tennant was leaving, but no successor had been announced and there was still a year of feature-length specials ahead of us before the handover - or so we thought. The possibility that the show had pulled off the ultimate trick and was about to change its leading man 18 months early and without us having a clue who would be stepping into the part had me yelling delightedly "No ... no .. this can't be happening!" at the screen. Alas in the end it really was just one of Russell T Davies little writing tricks - but so very well played nonetheless. John: Those so-called specials were anything but. Andrew: Definitely a mixed bag, but I've revisited a few of them since and they bear up better than I'd remembered. John: Vivid memory of savagely deconstructing "Planet of the Dead" on Twitter with scriptwriting and directing peeps. However, worth revisiting if only to see actress Michelle Ryan in a post Bionic Woman role! Ryan would have been a brilliant companion. Andrew: Maybe. Anyway, I think it is still possible for the show to continue to surprise us today: when I sat down to watch the pre-50th anniversary online minisode "The Night of the Doctor" I had absolutely no idea who was starring in it. None at all. All the old stars had publicly said online via social media that they weren't returning and I believed them, so I guess that's an example of how you can game the Internet to send out disinformation to help guard against spoilers. I'm glad they did, because that was a terrific surprise and a total shock. John: Wasn't that joyous? I literally had goosebumps when [REDACTED]. In the midst of last year's Doctor Who 50th celebration, I was fortunate to attend, with friends, the Official Celebration at ExCel and the inevitable spoilers didn't matter a jot. Especially as most of these emanated from the series' showrunner, Steven Moffat, during Matt Smith's final panel as the Doctor. Andrew: Okay, before this discussion gets too monopolised by Doctor Who, what are the best things from other films/series that you can recall being surprised and unspoilered by in advance? And how much of a difference would it have made to the experience if you had known before seeing it the first time? To pick up on your mention of it before, I'll cite Vader's revelation in The Empire Strikes Back as one I had no idea was coming and which left my jaw on the floor. John: Vader's paternal revelation turned everything upside down in the wake of Han Solo's capture by Boba Fett! Was Vader trying to trick young Skywalker into either joining the Dark Side or kill Luke as he pulled himself back across the gantry? I literally feared for Luke's life and didn't give it any credence until the months leading up to Return of the Jedi (enacting potential scenarios with new action figures). Foreknowledge would have dampened proceedings irrespective of any ambiguity therein. Spock's death at the end of Star Trek II: The Wrath of Khan is another. That scene gets me every time. I have a habit of trying to decode major plots twists, but Unbreakable alluded me. How about yourself, Andrew? Has there been a spoiler, which enhanced your enjoyment or even piqued your interest in something you might have otherwise overlooked? Andrew: I guess the 'spoiler' of knowing in advance about what happens to Sean Bean in Game of Thrones was ironically the thing that made me think, "Oh - maybe this isn't going to be what I thought it was. That sounds interesting, I'm going to give that a try" when previously I'd been dismissing the whole thing as a Lord of the Rings wannabe that I had very little interest in. And of course, now it's my current choice of all-time favourite TV show, so thank goodness for that change of heart! John: High praise for Game of Thrones and understandable given how deftly the multiple subplots are threaded together! In less assured hands it could so easily unravel and become incomprehensible to even the most ardent fans. Such was the success of Sky Atlantic's promotion for the S4 premiere: NOW TV crashed (mimicking HBO Go in the US) due to a high level of demand during the live stream on Monday evening. Sky quickly compensated affected users (myself included) without any prompting. Commendable, but poses questions regarding the pitfalls of cable-cutting too soon. Andrew: Yes, people pushing for putting everything online and doing away with broadcast channels have little idea about the reality of the network infrastructure and what it can and can't do. No surprise it was Game of Thrones that keeps exposing the problems - I'm so in awe of that show. Like you, I have an annoying habit of 'reading' a film and working out the plot twists - even when I'd actually rather not. Unfortunately I'm rather good at it, so therefore any film or TV show that can catch me out and blindside me immediately goes up in my estimation. The trouble is that even knowing that there is a 'twist' in a film almost counts as a spoiler in its own right because then I go in looking for it and more often than not figure it out in advance. The biggest example would be The Sixth Sense which was hugely promoted on its shock twist: I went to see the film and absolutely nailed it from the very first scene and was then rather bored of watching the mechanics of how it was followed through. Again, it was the trailers headlining the "I see dead people" quote that made it possible - damn publicists! On the other hand, The Usual Suspects is another famous 'shock twist ending' and I confess that I only narrowed it down to about five possible outcomes by the end - one of which was the right one, but that doesn't count! So high marks there for Bryan Singer's first big screen outing. John: Have a soft spot for M. Night Shyamalan's The Sixth Sense! If only for James Newton Howard's haunting evocation of celebrated composers Bernard Herrmann and John Williams. Andrew: Herrmann being possibly my all-time favourite movie soundtrack composer of all time, too. But that's a subject for another blog post I suspect! John: A future post on soundtracks! What's not to like? Andrew: My most profound shock in a cinema has to be David Fincher's Fight Club. I'm not even sure I why I went to see that film - on the face of it, it wasn't my sort of film at all as I'm totally averse to films about fighting and boxing, even classics like Raging Bull. I certainly didn't know there was any twist in it. I spent the first half thinking "This is dreadful, the plot, characters and acting are all over the place" - and then came the revelation ("Ladies and Gentlemen, please return your seats to the full, upright position...") and for a moment I literally felt physically off-balance because it changed absolutely everything I thought I'd known up to that point. I had to go back and see the film again a couple of days later, and it was a totally transformed experience seeing how it really fitted together rather beautifully yet without tipping its hand like most films would have done. As a result, I have to put Fight Club in my all-time top ten movies. What about you - any others you've seen where you've felt, "I wish I hadn't known X before seeing that"? John: A friend suggested Jacob's Ladder on rental DVD and the twist was revealed, accidentally, by his dad only minutes into the movie. Wholly unintentional, but there was an awkward silence thereafter. Andrew: Oh dear! Did he already know what was going to happen in the film, or was it a lucky guess that inadvertently ruined what unfolded? John: "This is the one where..." Pinter pause. "Yes, dad! John hasn't seen it before." Andrew: Hard for me to ask "And in what way did knowing this spoil things for you?" when I haven't seen the film myself and don't actually want to know! John: It would be remiss of me to answer! Andrew: Sometimes people can just blurt out a guess that happens to be right, or because it's basically obvious. For example, it's pretty easy to say at the start of a film like Titanic that the ship sinks and pretty much everyone dies, or that in Pompeii the volcano is about to get a little active any moment; is that a spoiler? Hardly, no more than "revealing" that Noah features a big flood that wipes everyone out except the people on the ark. If someone blurts that information out at the start of a film then I guess it's enough of a spoiler to really ruin the film for some people, but to be honest they'd have to be pretty clueless about the subject matter if it does. Actually that raises another question about spoilers: can they actually be a good thing? After all, it's the audience knowing that the boat is going to sink or that the flood's going to wipe out every living thing on earth that drives a lot of the suspense of the film. In fact filmmakers often 'spoiler' what's going on in order to achieve the dramatic effect they're after: Hitchcock always said that the difference between shock and suspense was that the former might feature a bomb suddenly going off, which would leave the audience reeling for maybe ten seconds; but if we know there is a bomb ticking down to zero in little Timmy's hands on a packed bus, the suspense of that knowledge can be stretched out to an unbearable degree over five or ten minutes. Hitch of course was a master of the latter. John: JJ Abrams is a master of mystery and this will serve him (and Disney) well where events "in a galaxy far, far away..." are concerned. Just imagine if Karen Gillan is cast as a Mara Jade? Oops! There I go again. Andrew: I've just finished watching reruns of Babylon 5, and what's interesting here is that the writer/creator of the show actively gives away what's going to happen through various means such as the use of time travel, premonitions and 'flash forwards.' And yet in each case, what we think we're seeing is completely turned around by subsequent developments, so by the time we see the scene actually happen in "real time" it's telling a completely different story from the one we thought it was. I guess I should say that Steven Moffat is now the modern master of that art with his timey-wimey, head-scrambling work for Doctor Who which often does the same thing. It's probably this approach that worked for me on Game of Thrones: although I knew the twist about Sean Bean, I had no idea how exactly it happened, when or why. So in the end it worked perfectly, setting up the anticipation but not giving away so much detail that it ruined the journey. When the moment came, it was fully a whole episode ahead of when I had expected and so I was still open-mouthed and aghast at what was transpiring. John: Babylon 5! J. Michael Straczynski's ambitious retelling of The Lord of the Rings. Loved the series and imagine how it would look today on HBO sans the spectre of cancellation every season.